Welcome to Hidden Mountain West, our secret mountain side vacation rental that offer views so incredible you must see it to believe it. 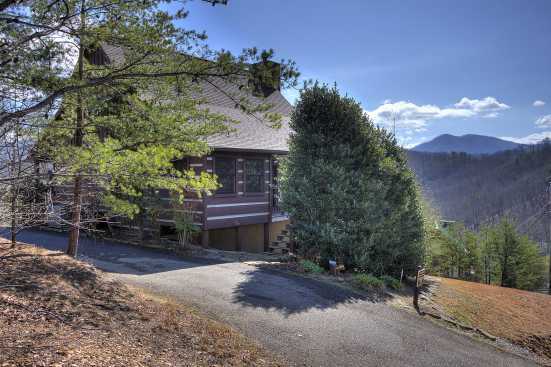 These cabins are in Middle Tennessee in the city of Sevierville and are nestled onto the side of a mountain providing the best views of multiple mountain ranges in Middle Tennessee. Rentals range from 1-bedroom cozy cabins to large log cabin style structures that sleep up to 14 guests. This resort style area boasts a large lake to fish and swim in as well as many nature trails including hikes up and down multiple mountain ranges. Use Wears Valley Road located right by your cabin to get around and avoid all the traffic. The road leads to many hot spot locations such as: The Track (go karts), The Shoppes at Walden Landing, and Wear Farm Park. Hidden Mountain West is also located near Metcalf Bottoms. Metcalf Bottoms is a perfect location in Smoky Mountain National Park for having a picnic down by the river or for a leisurely day of fishing and swimming. SmokyMountainsByOwners.com is your one stop shop for all your travel planning and booking in Middle Tennessee. Whether you choose to spend your day hiking through the mountains or just relaxing riverside while you enjoy a nice picnic SMBYO.com has you covered.